Back in the old days when I ordered my chess literature from Europe, mostly Germany and England, the Chess Informants were high on my priority list. That was despite their rather hefty cost in those days...$5.00, or about $35.00 in today's money. Chess Informant, or Sahovski Informator, is a publishing company from Belgrade that produces the Informants, the Encyclopedia of Chess Openings, Encyclopedia of Chess Endings, Opening Monographs, other publications and software. The company was founded by GM Aleksandar Matanović and Milivoje Molerović in 1966 for the purpose of offering chess players access to information that up until that time was only enjoyed by Soviet players. They originally published two issues per year from 1966–90, but since then the number of issues per year has increased. Each issue, then as now, offers several hundred games or fragments of games from master play, most of which are annotated using the now popular symbols. Nowadays much of the book is in English though the symbols remain. Since issue 5 they have also included a section on combinations and a section on endings. Garry Kasparov said of his generation,"We are all children of Informant" but Tigran Petrosian derided the books saying that the new generation of players were mere “children of the Informant” and they stripped the game of creativity and reduced it to a memory contest...wonder what he would have thought of today's computers?! Even so, Petrosian still annotated 509 games for the Informant! Fischer? He only annotated 10 of his games. These days what with games being instantly available on the Internet , the question is just how important or relevant can a book like the Informant be? Well, the thing is, you can find unannotated games scores all overt the place and you can annotated them with an engine, but what do you do when you have questions that an engine can't answer? GM thoughts and explanations of key positions are something an engine simply can't provide. It might be helpful to know white is better by 1.25 Pawns in a position with equal material, but Stockfish or Komodo won't tell you why. By the way, when this happens, the best thing I know to do is, if your GUI supports it, is run some Shootouts. Then you can click through the games and get a general idea of how the engine exploited its advantage. As you watch the game progress this method will often let you see why the engine evaluates the position as it does. Another thing books like the Informant do is offer is color commentary, often by players who were present. Just as in the world of espionage, facts and photos are important, but you can't beat the human factor when it come to gathering intelligence. That said, among the annotators not many top players annotate their games for the Informant...can't give away any secrets, or perhaps they just don't want to. The important thing is the games they publish are only high quality and generally of theoretical value, especially opening novelties. If you are interested in openings and/or a correspondence player to whom novelties are important, then Informants are valuable because they have already culled them all out for you. Another handy feature is that there is an index of players and annotators which makes it easy to find games by your favorite player. 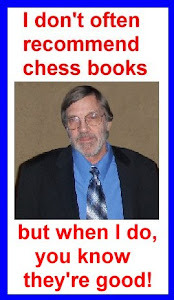 Yes, the Informants are expensive for some because, as Reshevsky once commented, “Chess payers are an impecunious lot,” but generally no more so than a lot of poorly written and generally useless books, and at least you get your money's worth.